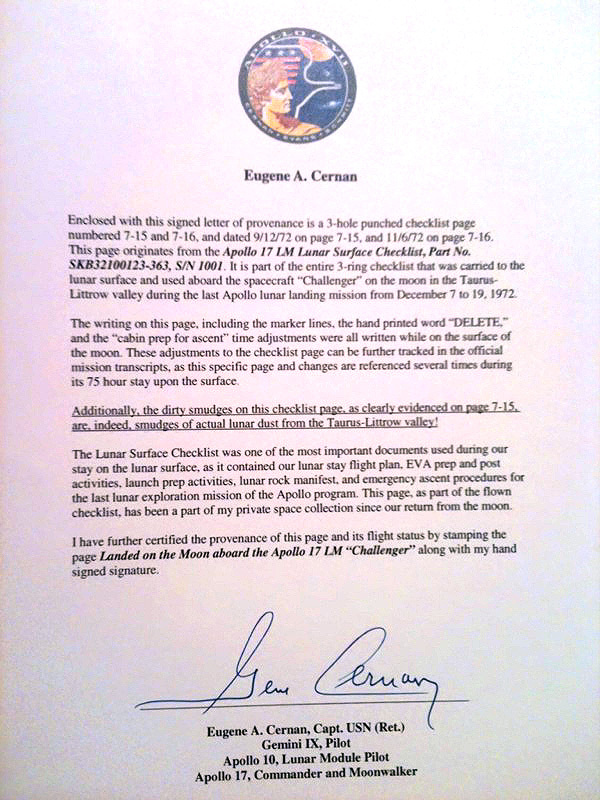 This page from the actual Apollo 17 LM Lunar Surface Checklist spent 3 days on Moon and was used by the Apollo 17 Crew as they prepared to leave the Valley of Taurus Littrow on their final day. 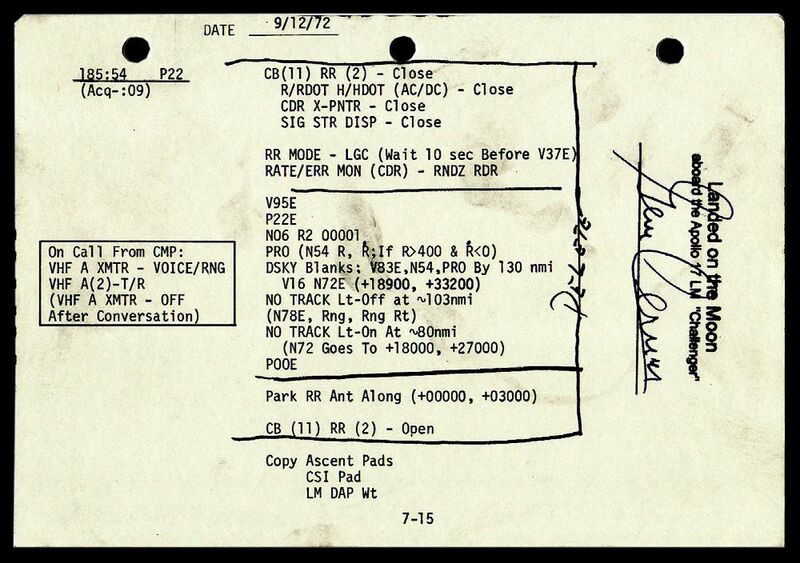 The handrwritten notations were also made whilst on the lunar surface. This is already a great and authentic flown artifact from the Apollo missions, but what makes this item exceptional is that it is covered in smudges of Lunar Dust! As this page was used after all 3 lunar EVAs, the Astronauts and the cabin of the Lunar Module would have been very much polluted with the hard to clean dust, and as can be seen in the scans below, a lot of dust became smeared onto this page. As it is not legal to buy Moon Rocks collected during the Apollo missions, items such as this are the only way to legally own any Apollo lunar material. 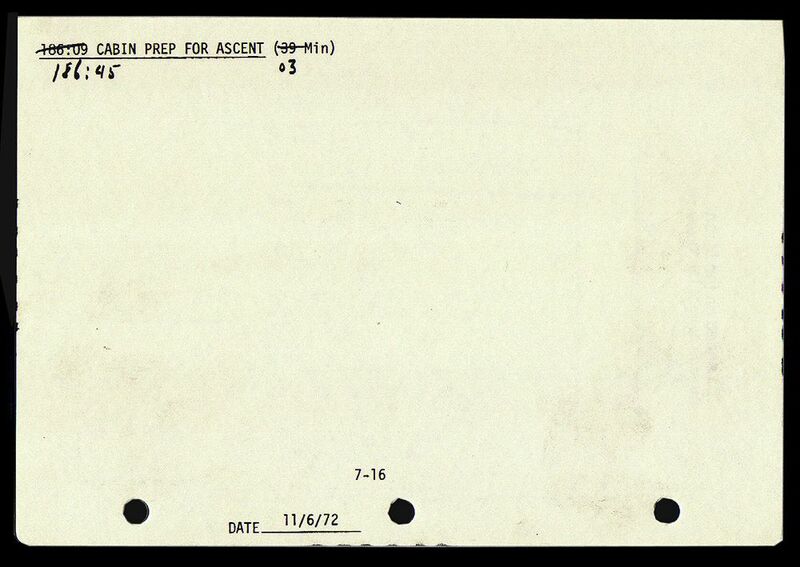 The information on the page shows the procedure for a tracking light test (subsequently deleted whilst on the surface) and the boxed section is a critical VHF communications test with the command module shortly before Ascent. 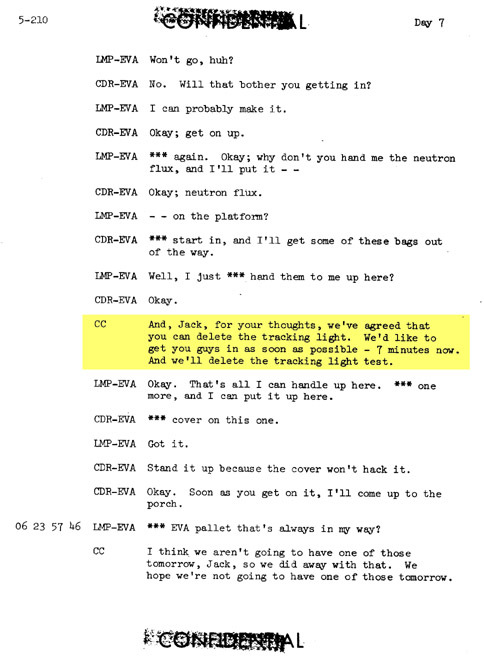 The deleted section (which that marking was done on the surface by Cernan and Schmitt both) is referenced in both the LM Onboad Voice Transcript and the Technical Air To Ground Voice Transcript.